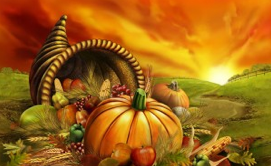 Michael Dresser said that “Thanksgiving is America’s national chow-down feast, the one occasion each year when gluttony becomes a patriotic duty.” Johnny Carson described Thanksgiving as an emotional holiday. “People travel thousands of miles to be with people they only see once a year. And then discover once a year is way too often.” Others view it as a time to count their blessings of bounty, good health, or elastic waistbands. Thanksgiving is really about gathering together with family members and giving thanks to the good people in our lives. Thanksgiving holiday weekend is also an ideal time to discuss estate planning matters with loved ones. Understandably, no one wants to discuss his or her death and incapacity. Adopting an optimistic approach regarding this subject would be as successful as trying to start a new diet on Thanksgiving Day. Rather, a more realistic approach is more comforting like grandma’s traditional apple pie. It’s important when everyone is gathered together to discuss your healthcare wishes. What would you do if you suddenly became seriously ill or injured? What type of medical care would you want to receive? Who would you want look after your children? What if you die without a will in place? Who would you want to get your property? Granted, sitting around discussing your death and distribution of assets may not be your idea of the perfect holiday season; however, it is this kind of future planning that effects your family in the future. It is important to adopt a pragmatic mentality about the future and set aside some time to discuss these very important issues with the people you love and care the most about. It is equally important to explore various options on fulfilling your wishes with your South Florida estate planning attorney. Timing is everything when it comes to Sunshine State probate. A quick resolution to the Florida probate process is the ointment to what could result in a rather protracted and costly legal process. This is achieved through the assistance of a qualified South Florida probate attorney who has the specialized skill, experience, and legal knowledge to avoid many time-consuming complications. Having a trained ally to advocate for your interests also ensures that all your legal rights and interests are fully preserved and adequately protected. Why is time so important in probate cases? After a person dies, his or her estate that is subject to probate must have his or her debts paid off and assets distributed among the heirs and beneficiaries. 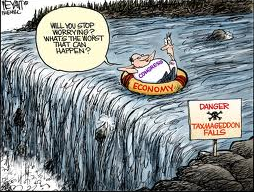 Taxes, interest, and asset depreciation must be accounted for. Due to many complex legal and financial issues, prompt settlement of all financial matters is vital in preserving assets and minimizing liabilities. Without careful planning, Florida probate can take a long time. The total length of time required to conclude estate settlement varies widely. Total value and type of the decedent’s assets are primary determinants of the time factor. For instance, a deceased might have left behind a lot of real estate, antiques, or jewelry. As illiquid assets, such items must be appraised and fully accounted for prior to final sale or other distribution. This can add considerably to the total time required to complete probate. Conversely, an estate containing few assets or those that are easily liquidated such as life insurance proceeds or bank accounts, close much faster. In addition, Florida statutes require all estates to remain open at least three months after being formally admitted to probate court. This requirement is designed to afford creditors or other third parties an ample opportunity to file any adverse claims. Thus, even simple probate cases typically take at least 5-6 months to close. However, without an attorney to file this notice to creditors, the window of opportunity to file claims against the estate is greatly widened. Finally, the IRS dictates how long the administration of a taxable estate drags on for. Final closure is prohibited until there is final IRS approval of the Estate Tax Form 706. In addition, applicable laws allow the personal representative or probate attorney up to nine months after a decedent’s death to file this document. As you can see, probate closure can take years and years. Take remedial measures now by consulting an experienced attorney for advice and guidance. Are We “Looking-Back” this Veteran’s Day? 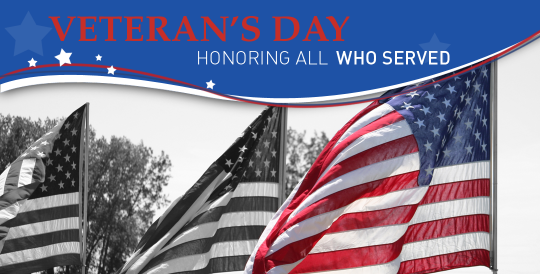 Thank you to all who have served, and are serving! You gave, and continue to give, every day to ensure our freedom—and to you, we are forever grateful! On June 6, 2012, Senator Ron Wyden of Oregon introduced legislation that will restrict eligibility for veteran’s benefits used to assist in funding for home health care, assisted living and nursing home expenses. The proposed bill would require that the Secretary of Veterans Affairs look back 36-months for any uncompensated transfers that a veteran, their spouse or child may have made. Today, there is no look-back period. A veteran, their spouse or child with excess assets can qualify for veteran’s benefits by making transfers to a properly drafted irrevocable gift trust. If the proposed legislation were to pass, the bill would take effect one year after enactment, and apply to pensions applied for or redeterminations after that date. The bill will disqualify a veteran, their spouse or child who has made transfers to a properly drafted irrevocable gift trust, within the 36-month look-back period, from receiving benefits for a period of time depending on the amount that was transferred. The percentage is astounding. Less than half of all Florida residents, including active duty and veteran members, have an estate plan in place. Yet, the death rate in Florida has held steady at 100 percent. As an active duty or veteran member, you have and continue to do so much for this country. Please do not fall prey to this look-back period. Who knows if or when the proposed veteran’s benefits “36-month Look-Back-Period” legislation will pass. You have taken the honorable oaths of enlistment and office. Allow a competent and qualified estate planning attorney the opportunity to give you their oath to protect what you so rightfully deserve. Clients hope that the presidential election will clarify the future of transfer tax rates and exemptions. However, the answers they seek may not be the answers they would like to hear. Therefore, this remaining year may be the opportune time to take advantage of the current federal applicable lifetime exemption which may soon be a thing of the past. The exemption for transfers is $5.12 million per person, and twice that for a couple. This is the highest exemption in estate planning history! Any amount over this magic number is taxed at a top tax rate of 35%. For gifting purposes, the annual exclusion for gifting is $13,000 per person, per recipient. However, serious changes could be looming on the horizon. The current estate and gift tax is set to expire by the end of the month. There may be pending legislation to drop the exemption to $1 million with a top tax rate of 55%. It may be wise to act now given the unfavorable situation we may all be faced with. Embrace the opportunity to preserve your wealth and protect your assets while you still can by fully using any remaining gift tax and generation-skipping transfer tax exemptions now. Contact your South Florida estate planning attorney for a toolbox of techniques for achieving your long term planning goals before Congress opens Pandora’s Box of tax reform. If you’re a South Floridian who loves to get spooked you probably gravitate towards haunted attractions, horror films, and gory costumes. We have something even more frightful up our sleeves that will give you a truly horrifying experience! 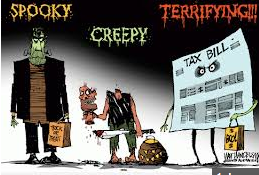 You can live through your very own Halloween nightmare tale filled with accidental disinheritances, exorbitant taxes, and expensive probate litigation! You can watch small businesses collapse and witness the squandering of modest and large family fortunes right from the grave… when it’s too late! However, for those of us who don’t like to get scared and rather play on the safe side, here are some tips on preventing an “All Hallows’ Eve” of the estate. First, do not erroneously assume your spouse, close friend, or even pets will be taken care of. You must specifically include your loved ones in your estate. Second, consider asset protection. It’s important to protect your beneficiaries from lawsuits, failed marriages, disability and wasteful spending. Finally, don’t do it all yourself. These do-it-yourself estate plans can create more problems than they solve. People title assets without understanding the legal ramifications behind it. There are risks and contingencies that need to be accounted for and only your South Florida attorney can help you with that. To avoid another episode of “tales from the crypt,” it’s crucial to update your estate plan in the event of divorce. You should change the beneficiary designation form on your life insurance policy otherwise your ex-spouse will receive the proceeds. You should also account for any minor children in your will by appointing a guardian in the event you pass away. Otherwise, your children could end up wards of the state!